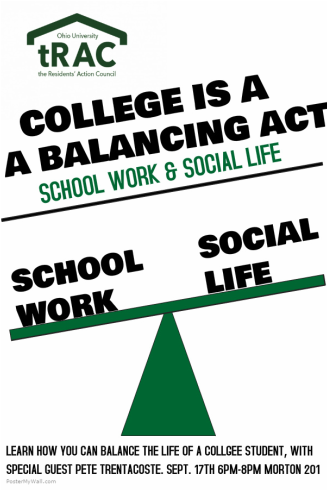 Every year we strive to give back to the community we live in through various programs throughout the campus. View photos from these programs and more in the GALLERY. 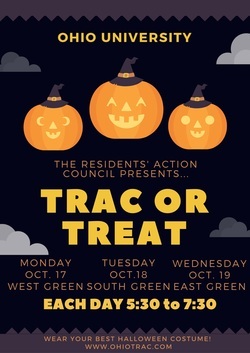 tRAC or Treat is hosted every fall. The event gives Athens residents the opportunity to "treat" around the Ohio University residential greens. Decorations, activities, and rewards are organized by the Hall Councils. For two years, tRAC has worked alongside Athens County Children Services to provide holiday gifts for children in the area. Hall Councils raise money to fund gifts they purchase to provide the children of Athens with gifts during the holiday season.